In a scene from the much-acclaimed 2002 gun violence documentary Bowling for Columbine, the film's maker and host Michael Moore peacefully strolls through the much maligned South Central area of Los Angeles, to illustrate that stories of its dangers for middle-class Americans had been overblown. He opined that the popular television show Cops, which broadcasts highlights of the arrests of low-income crooks guilty of petty crimes like drug possession, instills in Americans a huge aversion to the poor and uneducated. Meanwhile, Moore continued, it was white-collar crime that truly fleeced everyday citizens of their hard-earned money; yet in America these biggest of all crooks got off relatively scot-free. There was time when those who were caught were ushered to white-collar criminal prisons, which in essence were little more than country clubs, where enough money and sway could secure a life of extravagance and opulence. In the past few years, Americans have finally said, "Enough is enough" to white-collar crimes, and the wealthy suits who perpetrate them. For the perfect example, look no further than Bernard Madoff. On Monday, the money manager and Wall Street titan was sentenced to 150 years in prison with no parole for orchestrating a $65 billion Ponzi Scheme, the biggest fraud in US history. In total, he fleeced more than 1,300 investors, many of their life savings. Two notable victims were filmmaker Steven Spielberg and actor Kevin Bacon. The extreme sentence surely gave many on Wall Street pause. 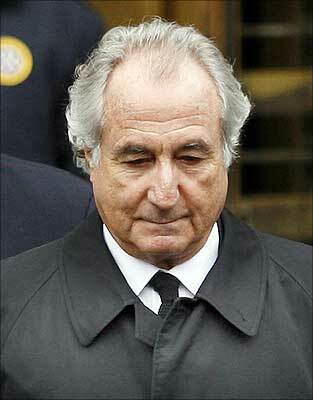 There is no doubting its outcome: Madoff will die behind bars for his crimes. On that point, Lev Dassin, the chief prosecutor, was clear in his request to Judge Denny Chin. He asked him to impose "a term of years that . . . would assure that Madoff remain in prison for life". Here, we look back at nine other well-known US fraudsters, and how they were dealt with by the courts. 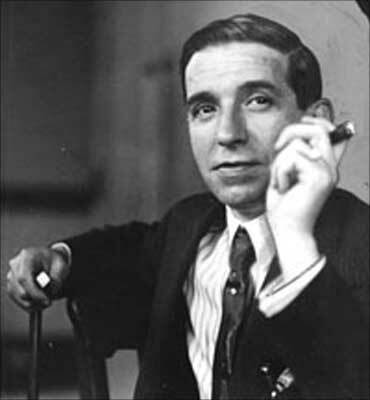 Charles Ponzi, an Italian immigrant from whom the Ponzi scheme got its name, is one of greatest swindlers in US history. It was he who concocted and perfected the simple pyramid-style scam: Claim to have a sure-fire investment plan and promise clients an obscenely high return (in his case, a 50 per cent profit in 45 days), then pay them from the investments of later investors. When it all came crashing down in 1920, as newspapers had finally and comprehensively blown the whistle on Ponzi's impossible scheme, most investors received only 30 per cent returns on their initial investment. Five banks were ruined in the process. Reflecting America's ambivalence to white collar crime at the time, Ponzi was sentenced to only 5 years in federal prison. Upon his release, however, he was charged by the state of Massachusetts and later in Florida (for another scam), and forced to serve, in total, an additional seven years. He was deported upon his release and died penniless years later, in Brazil. Before Madoff, it was the case of Kenneth 'Ken' Lay, Enron's Chairman/CEO from 1985-2003, that really caused the blood of everyday Americans to boil. Despite earning a staggering $40 million dollars a year towards the end of his tenure at Enron, Lay was at the very heart of a fraud, corruption and 'cooked books' scandal that ultimately led to the downfall of the energy trading giant, and the loss of hundreds of millions of investor dollars. 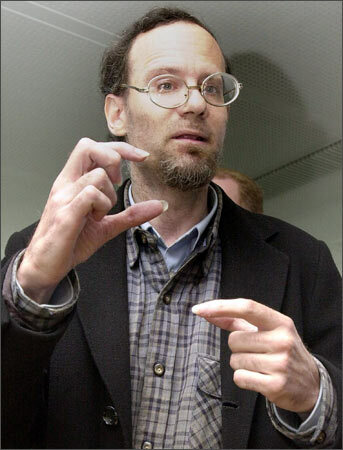 He was indicted in 2002 on 11 counts of securities fraud and in 2006 was found guilty on 10. Facing approximately 30 years in prison for his crimes, just months before sentencing he died of a massive heart attack. Lay famously never admitted his guilt, and till his death insisted that a closely knit band of short sellers and a few bigwigs in the business media had conspired to bring him down, despite ample evidence to the contrary. 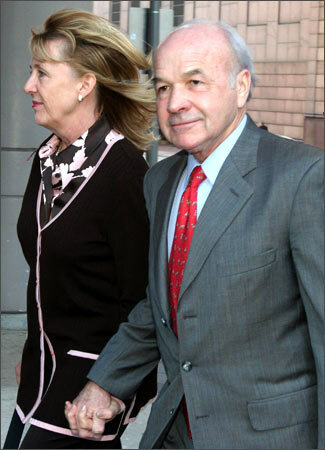 Image: Enron CEO Ken Lay and wife Linda return after lunch recess to federal court in Houston, Texas, February 8, 2006. 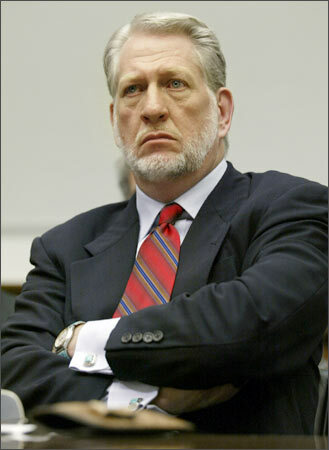 Less known than Lay, but more destructive, was Worldcom co-founder and former CEO Bernie Ebbers, who was convicted in 2005 in the then-largest fraud case and accounting scandal in US history. Although initially it was feared that over $3 billion had vaished, investigators were shocked to discover that, at the end of the paper trail, investors had actually lost $11 billion due to the telecom giant's false financial reporting. Though the flippant Ebbers tried to separate himself from the situation by claiming ignorance of what happened directly under his nose, the justice system came down hard. He is currently serving a 25-year prison term. Image: Former Worldcom Executive Bernie Ebbers. 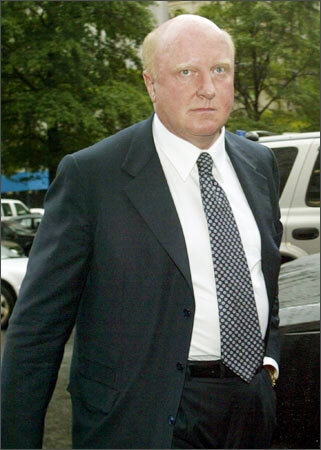 Dennis Kozlowski, the former chief executive of conglomerate Tyco, who admittedly took the company into the stratosphere in the 1990s, was later convicted of misappropriating more than $400m of the company's funds to fund his exorbitant lifestyle. Pointing to the company's strong performance under his stewardship, Kozlowksi always attributed his conviction to the jealousy of jurors. "I was a guy sitting in a courtroom making $100 million a year and I think a juror sitting there just would have to say, 'All that money? He must have done something wrong.' I think ... it's as simple as that," he famously said on CBS's 60 Minutes. He is currently serving at least eight years and four months in prison. Martin Frankel, a former US financier from small-town Ohio, was convicted in 2002 of insurance fraud worth at least $208 million, racketeering and money laundering. Frankel was a master at ripping off small-town insurance companies, and he left a path of destruction in every state he visited: Ohio, Oklahoma, Missouri, Arkansas, Tennessee and Mississippi. In an attempt to earn sympathy for the white-collar criminal, Frankel's lawyer said the mousey money manager would be 'particularly vulnerable' to physical assaults in prison, and pleaded for mercy. It fell on deaf ears. Frankel is currently serving a 16 year prison sentence. Another famous Ponzi-styel scamster was James Lewis, who made a living off swindling the elderly of California. He collected around $311 million from investors over 20 years by promising high returns and relying on word of mouth to bring in more investors, paying dividends all the while, to keep up the facade. But he turned around and used the rest of the money to finance his own high lifestyle of fancy cars, big homes and girlfriends, keeping fabricated assets on paper. When it all came crashing down in 2003, Lewis fled to Texas, where he was caught after an FBI manhunt. Upon his conviction in 2006, he was told he had committed a 'crime against humanity', and was sentenced to 30 years. 60 years old at the time, Lewis will likely die in prison. 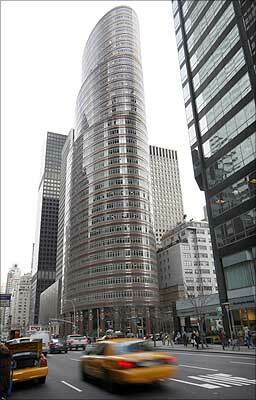 Image: The offices of Bernard Madoff, who confessed to defrauding investors of $65 billion, are seen on 885 Third Avenue in New York. Lou Pearlman, whose trial made him perhaps the most famous Ponzi scheme 'artist' of all time before Madoff, managed the absolutely incredible: he created companies that existed only on paper, and got established and respected banks and individuals to invest in them. He then pocketed the cash and used it however he saw fit. Pearlman, who also managed the US boy bands Backstreet Boys and 'N'Sync -- which gave him an air of respectability, as an entertainment mogul -- left behind more than $300 million in debts when he was finally nabbed. He was sentenced to 25 years in prison in 2008, after pleading guilty to charges of conspiracy, money laundering and making false statements. Image: Lou Pearlman (centre) and hotel heiress Nicky Hilton (right) cut the ribbon at the grand opening of Club Paris in Orlando, Florida on December 30, 2004. 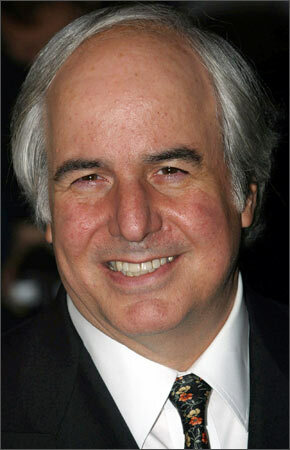 Frank William Abagnale, the notorious conman, forger and impostor who Leonardo DiCaprio played in the film Catch Me if You Can, was a master of passing off bad cheques, a scheme he employed to great effect, to the tune of over $2.5 million, to be exact. He struck in 26 countries, making him one of the most infamous criminals of the 1960s. After being caught, he served less than five years before he was released in 1974 by the US federal government on the condition that he would help authorities fight crimes committed by fraud and scam artists. Before the 'Greed is Good' ethic consumed Wall Street in the 1980s and increased throughout the 1990s, white-collar crimes of a massive nature just didn't occur with the frequency that they do today. So when carpet-cleaning king Barry Minkow, of ZZZZ Best, ran what appeared to be a successful carpet-cleaning company, ZZZZ Best, people were shocked to see it all collapse in 1987, rotten from the inside-out. 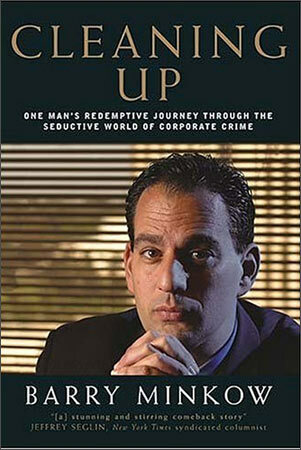 His fraud cost investors an estimated $100 million, and he was convicted of fraud and sentenced to 25 years in prison. There, in prison, he became involved in Christian ministry and underwent a complete transformation. Today he is a pastor and is an outspoken voice against fraud in the business community.